We are only hours away from the longest day of the year and the official beginning of Summer 2018. The dwindling big mayfly hatches have become a dusk to twilight affair. 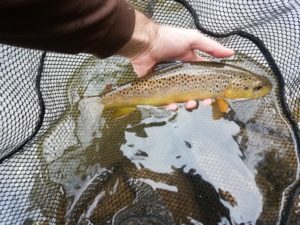 Don’t despair, you need not be a night owl to have productive dry fly fishing during this time of year. In fact, some of my favorite dry fly opportunities are during daylight hours between June and the height of Summer. Use the strategies below to improve your early summer PA fly fishing experience. Caddisflies are present on most of Pennsylvania’s streams. Oftentimes the hatch is sporadic and lasts throughout much of the day, which makes a size 14 to 18 tan caddis the perfect dry fly to use in a dry-dropper rig. 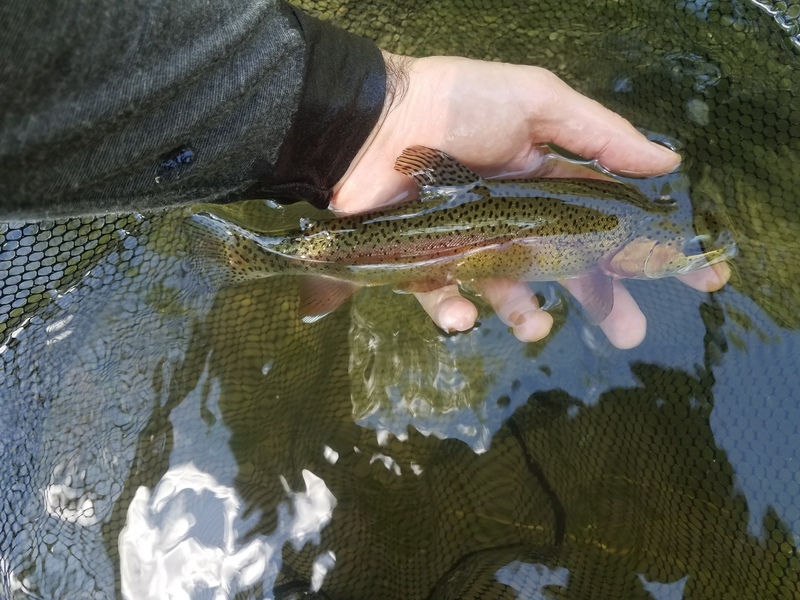 You will probably catch more fish on the dropper nymph, but you never know when the fish might surprise you with a rise. Fish the rig beyond the end of the drift, allow your dry fly to submerge and your nymph to swing towards the surface. 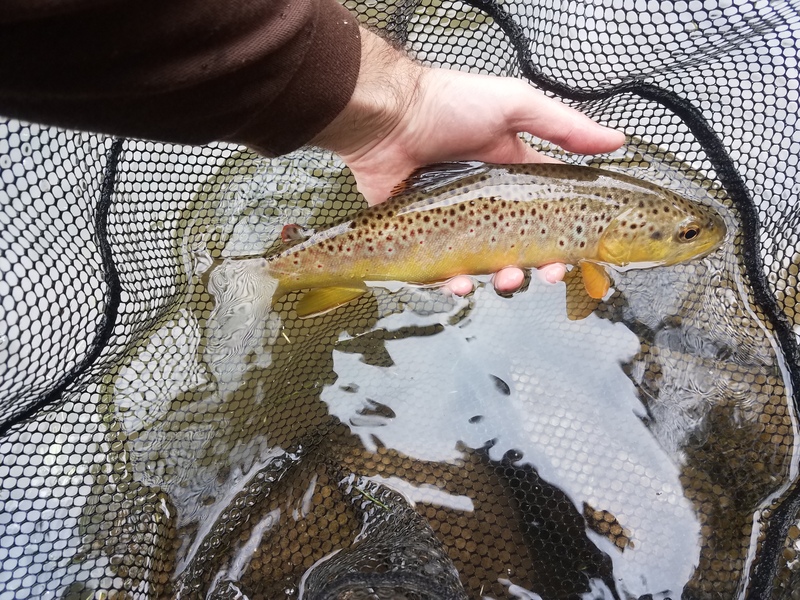 I’ve had many fish take the caddis when it is slightly submerged under water including the wild brown (Spruce Creek) and wild rainbow (Little Lehigh Creek) below. Once the more sought-after mayfly hatches pass, the BWO’s will continue hatching into the early Summer. 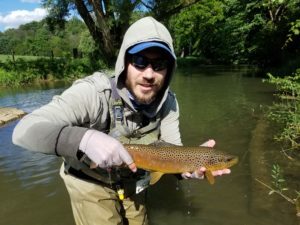 They may not be as large as Drakes and Cahills, but BWO’s still bring fish to the surface. Most of the BWO’s you’ll see in early summer are size 16 to 20. Even if there are no bugs hatching, the BWO nymph can be a great early summer dropper in the aforementioned Tan Caddis dry-dropper rig. There can be no mention of early summer PA fly fishing without mentioning terrestrials. Black ants really turn on during this time of year. If fish are rising near the bank or underneath overhanging branches, try a black ant. If the fish are leader-shy, try fishing the ant like an emerger – just below the surface. In a few short weeks, Japanese beetle patterns will also work very well. Keep in mind that terrestrials work even better on windy days, when clumsy land-insects are more likely to fall into the stream. 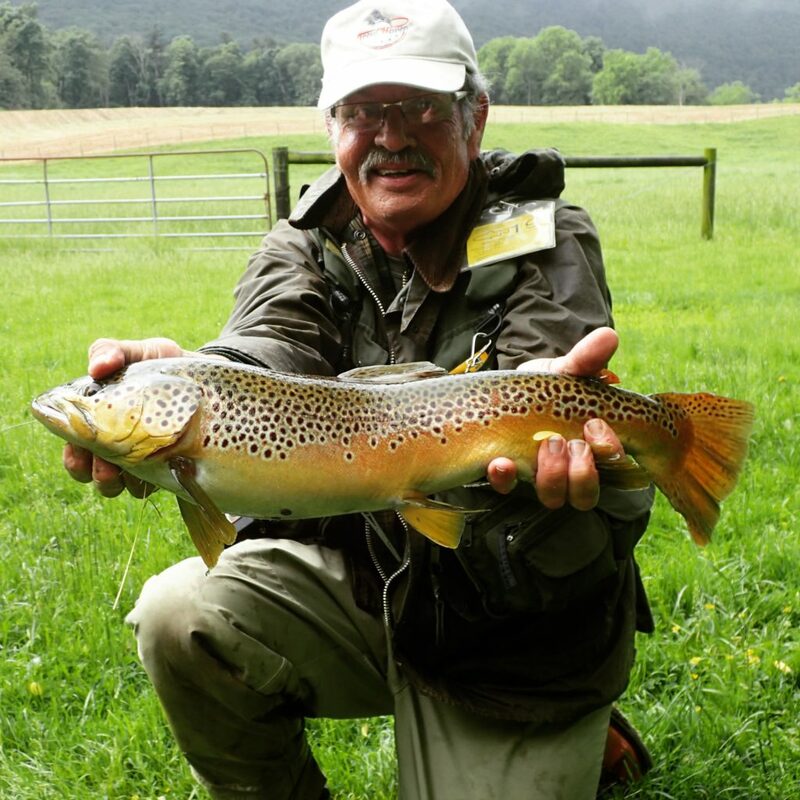 Don’t miss your chance to fish Spruce Creek this season!  There are only a few openings left for the year, visit our webpage for Spruce Creek PA Guided Fly Fishing Trips.